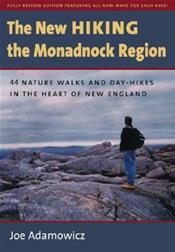 The New Hiking the Monadnock Region will lead you through forests and meadows, over small mountains and gentle hills, around ponds and sanctuaries, and along streams and abandoned roads. This detailed and informative guide, fully expanded and updated, now includes a beautifully rendered map for each hike and also provides information on flora and fauna, as well as local history and nearby sightseeing destinations. In addition, the book contains specialized information for the beginning hiker and for parents hiking with children, lists of hiking and conservation organizations, and other helpful resources. Whether you.re a seasoned hiker, a family with children, an amateur naturalist, a lifelong resident of the region, or a visitor, this is your essential guide to enjoying one of the most popular outdoor recreation spots in the northeast.